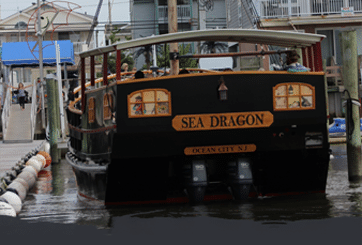 If you are looking for a one-of-a kind experience that your kids will never forget, Pirate Voyages in Ocean City, NJ is absolutely perfect! 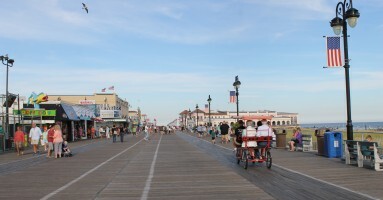 It may be the most talked about aspect of your entire vacation in Ocean City, New Jersey! 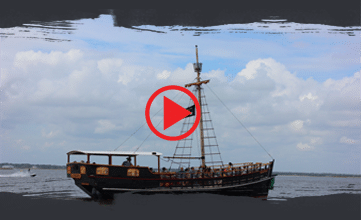 Hop Aboard the Custom-Crafted Pirate Ship for a Hands-On, Pirate Adventure! As parents, it can be tough to find different things to do that don’t involve indoor activities. Pirate Voyages caters to kids and nurtures their imaginations in the most fun and inspiring way! Our pirate ship was just built in 2008, by locally-owned Yank Marine. We put many extra details into the customization of this boat and it meets all USCG safety qualifications and certifications. Our hour long adventure never leaves the back bay of the Jersey Shore, so we will not be taking you “out to sea”. Our talented Buccaneers will make sure your little Pirates have the best time, ever! The Sea Dragon Captain is also USCG Certified with a Master’s USCG license, which ensures rigorous drug testing, TWIC card upkeep and zero tolerance for alcohol. Because of the wellbeing of your children, our staff and crew members are also screened and background checked to ensure optimal safety. We strive to make our guests feel extra special. As a result, the rave reviews for Pirate Voyages have continued to keep us at the top of Ocean City’s best attractions! Read more stellar reviews here. Book A Real Pirate Tour, if You Dare!